Ascott REIT’s 4Q18 DPU of 2.15 Scts (+5% y-o-y) above expectations. Outperformance from lower borrowing costs and stronger US operations. DPU recovery to continue into 2019 on the back of improved performances from Singapore, US and Japan. Upside from deployment of proceeds from the recent sale of Ascott Raffles Place. We maintain our BUY call on ASCOTT RESIDENCE TRUST (SGX:A68U, Ascott REIT) with a revised Target Price of S$1.35. In our previous reports, we expressed that as management enacts value maximising initiatives, investors will begin to recognise the conservative valuation of Ascott REIT’s portfolio, which would lead to a re-rating of the share price and the stock trading closer to book value. While this has played out, we believe Ascott REIT has yet to fully maximise the value of its portfolio, thus there is still potential for Ascott REIT’s share price to rally further. Consensus has a HOLD call with the majority of Target Prices below Ascott REIT’s book value, given its disappointing DPU performance over the past few years. While acknowledging this concern, we believe DPU should soon be on a recovery path. 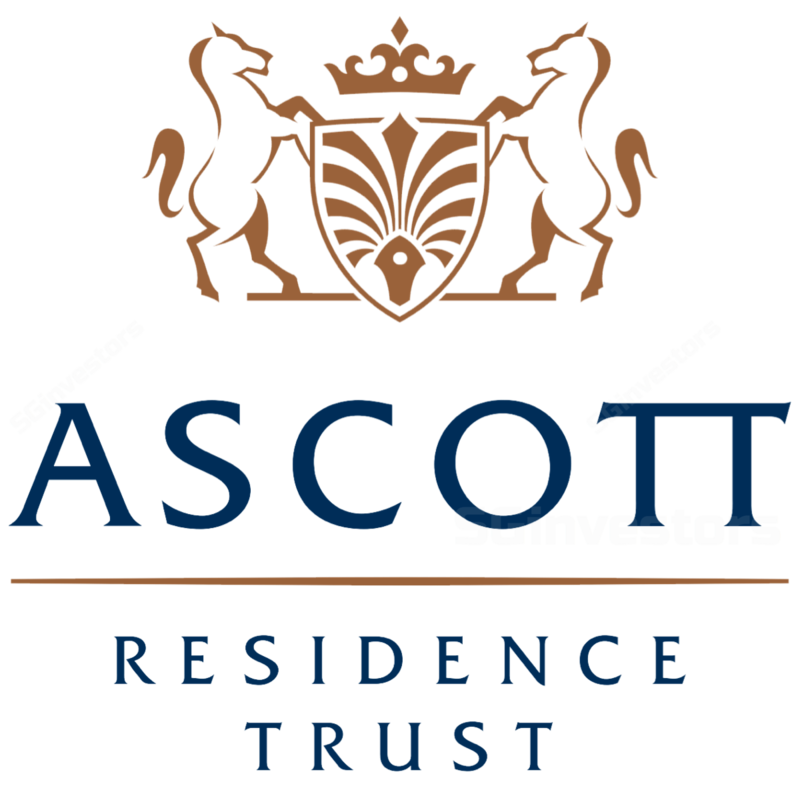 More importantly, we believe the critical factor that would drive Ascott REIT’s share price is the trust’s more aggressive execution over the past year of selling properties that have limited growth potential and recycling the proceeds into better-yielding assets. This ability to “love your assets but loving profits more” translating to selling its properties above book value, and at the same time reduce its reliance on equity raising to drive growth, warrants Ascott REIT to trade above its book value as implied in our S$1.35 target price. Beyond crystallising its book value, the resumption of DPU growth from FY19 onwards, as Ascott REIT works its assets harder should prompt a further re-rating. We forecast three-year DPU CAGR of 2% over 2018-2021. After the better than expected 4Q18 results, we raised our DCF-based Target Price to S$1.35 from S$1.25. The key risk to our call is potential oversupply in Ascott REIT’s key markets and impact from forex volatility. These risks are mitigated by Ascott REIT’s diversified portfolio, with no single country contributing more than 20% of its net property income. Ascott REIT exceeded our and market expectations with 4Q18 DPU up 5% y-o-y to 2.15 Scts translating to FY18 DPU of 7.16 Scts (+1% y-o-y). While we had expected DPU to decline on a full year basis, the better than expected results was largely attributed to lower interest expenses as we had assumed higher effective borrowing costs. In fact, Ascott REIT has been able to lower its borrowing costs from 2.4% at end 4Q17 to 2.3% currently. In addition, we had expected the US operations to be impacted by new room supply but strong demand has translated to an improvement in revenue per available unit (RevPAU). While 4Q18 DPU was supported by S$6.5m worth of capital distributions (S$6.5m in 4Q17), underlying DPU rose 6% y-o-y to S$1.85 Scts. The strong underlying results was due to 2% and 3% y-o-y increase in 4Q18 revenue and NPI. The better operating performance was due to the additional contribution from the acquisition of Ascott Orchard Singapore in October 2017, higher earnings from existing properties partially offset by the impact of the divestments of Citadines Biyun Shanghai and Citadines Gaoxin Xian. Singapore, which represents c.11% of 4Q18 NPI, posted healthy growth with NPI up 3% y-o-y mainly due to the impact of the Ascott Orchard Singapore. Nevertheless, contribution from properties under management contracts, Somerset Liang Court and Citadines Mount Sophia, was weak with 4Q18 NPI falling 7% y-o-y, largely due to higher staff costs and market expenses that offset the 7% growth in RevPAU. China had strong quarter (7% of NPI), with NPI up 13% y-o-y in RMB terms or 9% in SGD terms despite the divestment of two properties. On a same store basis excluding the divestment NPI in RMB terms jumped 16% y-o-y. This was mainly due to lower depreciation and marketing expenses as well as higher long stay demand which resulted in same store RevPAU up 1% y-o-y. Contribution from Japan (13% of NPI) increased by 12% and 13% y-o-y in JPY and SGD terms respectively. The Japanese portfolio benefited from higher corporate and leisure demand in Tokyo partially offset by higher supply in Kyoto. RevPAU in Japan rose 3% y-o-y. The US (16% of NPI) operations reported a 17% y-o-y increase in 4Q18 NPI on the back of higher revenue following the refurbishment of Sheraton Tribeca New York and stronger market demand. 4Q18 RevPAU increased by 5% y-o-y. Meanwhile, the UK portfolio (9% of NPI) benefited from 10% y-o-y increase in RevPAU to GBP137 on the back of higher leisure demand. However, 4Q19 NPI was down 2% y-o-y in SGD terms and flat y-o-y in GBP terms due to higher staff costs and marketing expenses. In contrast, Vietnam (9% of NPI) continues to be a tough market due to heightened competition from new supply in Hanoi as well as fewer project/corporate groups. This resulted in RevPAU falling 3% y-o-y in VND terms, translating to a 4% y-o-y in 4Q18 NPI. Overall income from the master lease properties was stable (28% of NPI) with the exception of the French portfolio where NPI fell 6% y-o-y. This is largely due to the renegotiation of master lease for 3 properties. In general, the values of Ascott REIT’s properties were stable, resulting in gearing being maintained at 36.7%. However, should Ascott REIT use the proceeds from the sale of Ascott Raffles Place (exit yield of 2%) to pare down debt, gearing should drop towards the 32% level. We understand the Europe/UK properties are valued using 4.5-6.5% cap rates. The cap rates for the China/Japan, Singapore and US portfolios stood at 5%, 4% and 6.5% respectively. Meanwhile, borrowing costs was flat q-o-q at 2.3% but down from 2.4% at end 4Q18. Ascott REIT also maintained a high level of fixed rate debt representing c.82% of total debt outstanding. NAV per unit was steady at S$1.22 and could rise towards S$1.30 once the sale of Ascott Raffles Place is completed in May 2019. On the back of Ascott REIT’s ability to maintain low borrowing costs due to its high proportion of fixed rate debt and judicious use of JPY and EUR debt, we lowered our cost of debt assumptions for FY19-20F to 2.45-2.60% from 2.55- 2.70% previously. This and stronger projected earnings from the US operations, results in our FY19-20F DPU being lifted by 6%. On the back of higher earnings, we also raised our DCF-based target price to $1.35 from S$1.25. Post the better than expected 4Q18 results, we reiterate our BUY call with a revised Target Price of S$1.35. We believe the recent rally in Ascott REIT’s share price can continue as Ascott REIT has yet to fully realise the value of its assets and DPU maintains its upward trajectory. In addition, we believe there remains considerable upside to our DPU estimates upon the deployment of proceeds from the Ascott Raffles Place sale and/or further asset recycling.